What harm can having too little of a vitamin do? Consider this: Over the course of two months, a 62-year-old man developed numbness and a “pins and needles” sensation in his hands, had trouble walking, experienced severe joint pain, began turning yellow, and became progressively short of breath. The cause was lack of vitamin B12 in his bloodstream, according to a case report from Harvard-affiliated Massachusetts General Hospital published in The New England Journal of Medicine. It could have been worse—a severe vitamin B12 deficiency can lead to deep depression, paranoia and delusions, memory loss, incontinence, loss of taste and smell, and more, according to another article in today’s New England Journal. Conditions that interfere with food absorption, such celiac or Crohn’s disease, can cause B12 trouble. So can the use of commonly prescribed heartburn drugs, which reduce acid production in the stomach (acid is needed to absorb vitamin B12). The condition is more likely to occur in older people due to the cutback in stomach acid production that often occurs with aging. Take Alzhemier’s disease as an example. 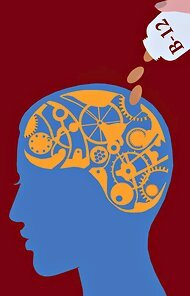 “Although there is a relationship between low vitamin B12 levels and cognitive decline, clinical studies—including those involving people with Alzheimer’s disease—have not shown improvement in cognitive function, even doses of the vitamin as high as 1000 micrograms,” says Dr. Bistrian. Next story It’s not just Bad Food, that may Damage Health. WiFi under Scrutiny.